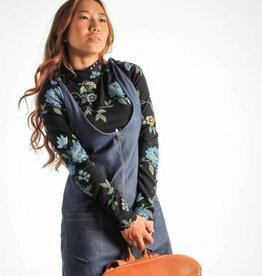 This denim base dress is designed for wear with LDP cropped tops. To nurse, lift the crop top and your tummy will stay perfectly covered. Fits over a full-term belly!